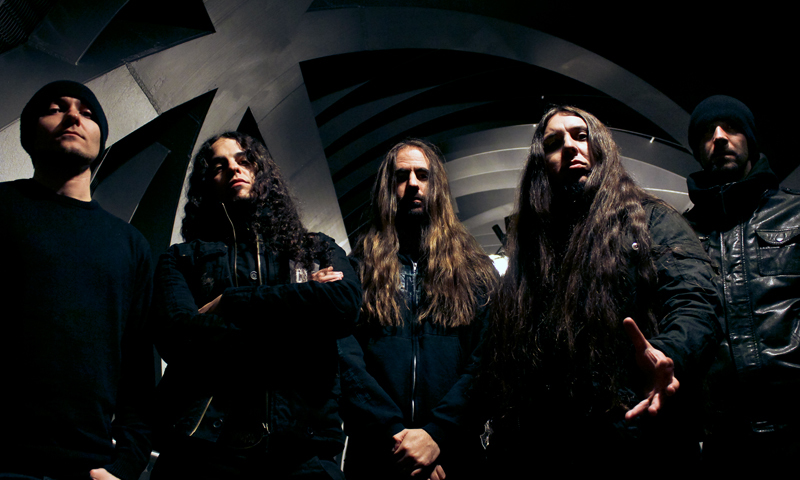 Since the release of their 2003 debut album, Planisphærium, Wormed have been one of the most respected brutal death metal bands of modern time. Rarely criticized and often praised, the Spain born group have been active since 1998 and previously released one full-length, one EP, two demos, a single and a split album. While Wormed released the EP Quasineutrality in 2012, fans world wide have been anxiously awaiting a full-length follow up for ten long years. 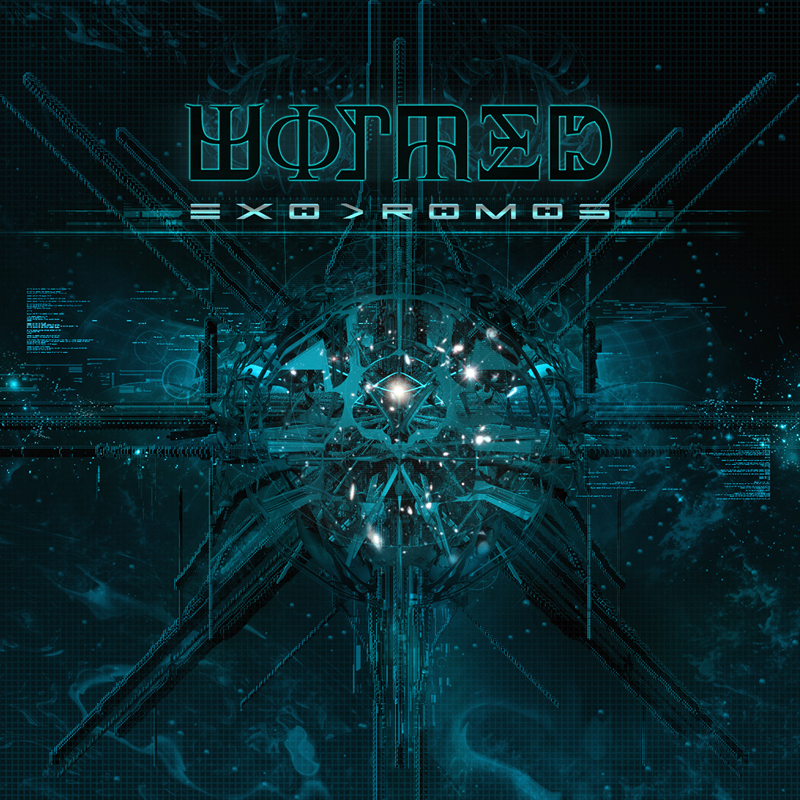 Exodromos is that follow up, and it is easily one of the most highly anticipated albums of 2013. The band have stated that Exodromos is a prequel to Planisphærium, and that it "tells the story of futuristic science concepts and chaotic visions of the last human left in the cosmos." What new alien sci-fi adventures do Wormed have in store for audiences? Exodromos is a brutally hellish descent at terminal velocity through space, time, and the end of humanity as we know it. The audience travels along side Krighsu, the last known human in the megacosm, which was absorbed by a quantum wormhole and spat back out as an inverted "Multivectorial Reionization" of the universe that we know now. The story telling in this material is above and beyond anything that Wormed have written before; it is visionary, primordial, and paints horrific space-scapes in the psyche that drag the listener through one mans descent into madness. What makes Wormed one of the most unique brutal death metal bands are their alienistic lyrics that encompass space, psychosis, human evolution and science in general; unlike most brutal death metal bands that stick with the standard blood, guts, gore and carnage. The overall material on Exodromos has an intelligent feel to it, in both lyrics and instrumental composure. Everything presented in this content is significantly higher advanced in comparison to the band's first release. Long gone are the hollow grunts that had little to no power behind them, in place are a talented plethora of deep, sometimes elongated, pig squeals and bowl obliterating gutturals. Furthermore this time around, the lyrics are given proper annunciation and "Solar Neutrinos" even has fathomless spoken words. 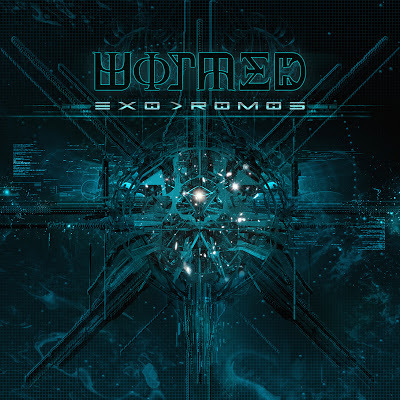 Wormed's technicality has skyrocketed in Exodromos in every instrument. Riky drums like a man not from this world, he incorporates a seemingly endless range of powerful beats and rhythms that are almost always coupled by double bass kicks; there are virtually zero standard drum patterns here and, refreshingly, no one-two blast beats either. There are an array of hi-hats and cymbal crashes that accent the background while the snare is being pummeled into oblivion, one begins to wonder if the drummer has a hidden set of extremities or a mechanical wrist implant. The guitars have everything one could possibly wish for in the perfect brutal death metal album; dissonant picking, one-string wonky bends, pick slides, all over the map heavy riffing, pinch harmonics, sweeps and even more. At some point in time, nearly every fret of the guitar and every technique brought to mind is used during the material. This, along with the use of innovative musical rests, truly creates a one-of-a-kind music experience that pleases every audible sensation that sound waves can touch. To top the content off, the album has been given an audio quality upgrade far surpassing that of Planisphærium, so everything is heard in crystal clear, high-definition endowment. The most recognizable tracks on Exodromos consist of "Nucleon", "Tautochrone", "Stellar Depopulation", "Solar Neutrinos", "Techkinox Wormhole" and "Xenoverse Discharger". When breaking down some of the tracks listed, "Tautochrone" has the most impressive use of natural harmonics that are used in a descending fashion along the fret board and have never been heard of anywhere else prior to this recording. "Solar Neutrinos" is a simple track, without drums or technicality but instead spoken word lyrics and a stellar use of sci-fi ambiance that gives the album a much needed break from the overwhelming heaviness it carries to prevent the tracks from continually careening together. "Xenoverse Discharger" is the final track on the album and is much more atmospheric than the rest, the use of anomalous picking and light hammer ons/pull offs rather than hefty power chords leaves the track feeling lighter and more spacey. The track inevitably ends on the perfect set up to introduce "Tunnel of Ions", the first song from Planisphærium. The rest of the songs listed above have superior composure and make the most use out of the abrupt rests that are incorporated within this material, they always catch the listener by surprise even after multiple listens and are a great example of how rests can revitalize an album. Exodromos is not only one of the greatest albums of the year, but one of the greatest brutal death metal albums of all time. The musical structures are some of the most innovative, creative, original pieces heard in a very long time; especially from its respective genre. The imagination behind the concept of the album is both intriguing and world shattering; you can imagine yourself floating through space and time utterly alone before you're sucked up into a quantum wormhole that will lead you through oblivion and into a cosmos unknown, full of death and despair. An absolute must hear, no exceptions. Get it from Willowtip in North America and Hammerheart Records in the UK on March 26th, 2013; the day your life will be forever changed.